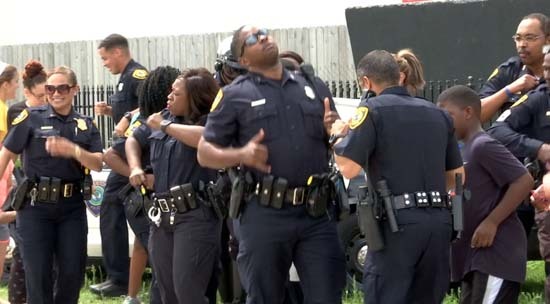 HOUSTON (KTRK) -- HPD officers throughout the department dusted off their dance moves to participate in their version of the Running Man Challenge. And today, the video was released. 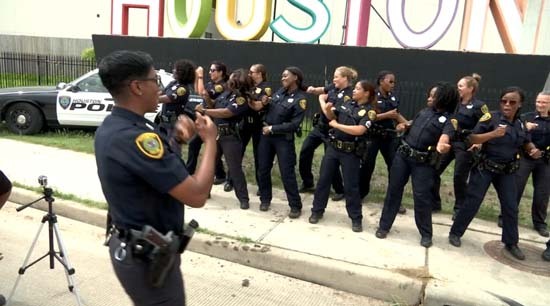 Below is the Houston Police Department's version of it. 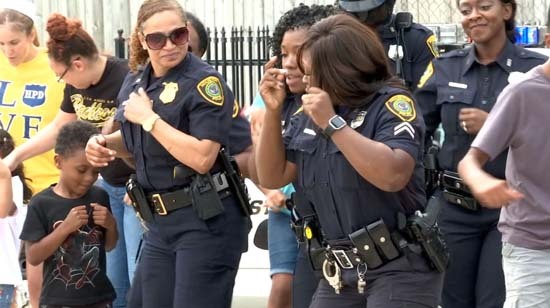 The videos feature people dancing to the 1990s hit song "My Boo" by Ghost Town. Each department challenges another to dance their hearts off and share it on social media. Posts by Detroit and Miami police have already been shared hundreds of thousands of times. 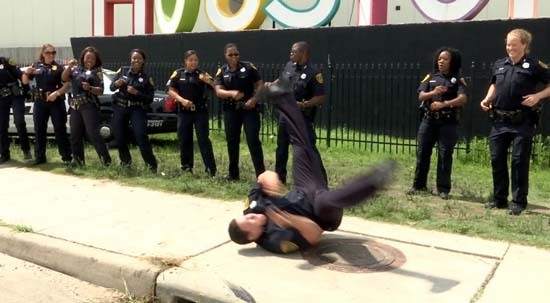 Only 13 cameras were there for a sneak peek as HPD was shooting it earlier this month. "It's important. It's important because right now, policing in itself ... We're getting a bad rap around the United States. We take care of business when it needs to be taken care of, but there is a lighthearted side to policing too," said Officer Jones. 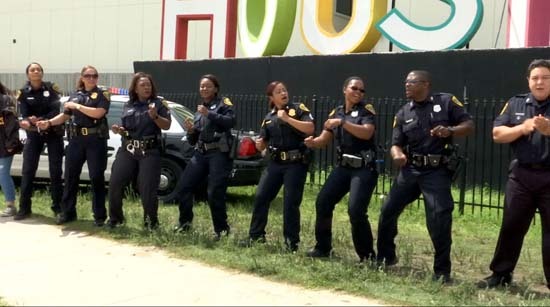 "We want to let the world know that the Houston Police Department can dance and that we can have fun." Officer Jones encourages everyone to share it. "Hit share. Hit share. Tag all your friends. Tag your family. We want this thing to go viral. 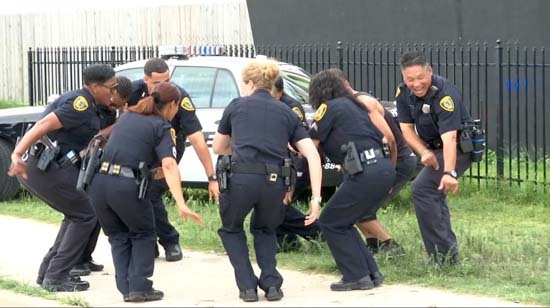 HPD represents for you. Let's go. We want you to represent for us," said Officer Jones. 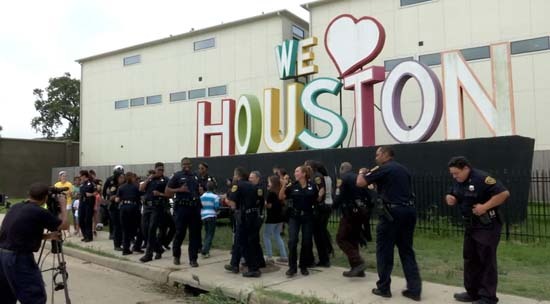 "I'm looking forward to the citizens of Houston and the surrounding area, I'm looking forward to them seeing that we are human just as you are. We not only love what we do. 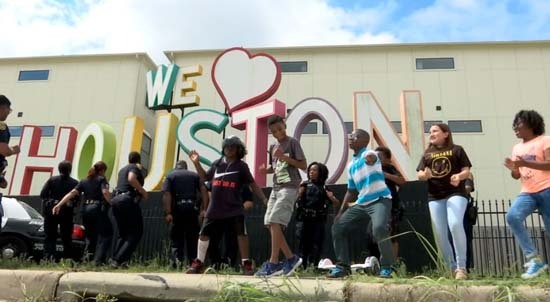 We love Houston."